In RPG Maker, all of the game data is isolated within each save file. This means that you can turn on a switch in one game, save the game, then load up another game, and see that the switch is still off. However, there may be times when you want to turn on a switch in one game and have it turn on for other games as well. In particular, you might want to be able to be able to record the value of this switch during the title screen. With this plugin, you can specify that certain data will be “synchronized”, which means if you change the value in one game, all other save files as well as the title screen will be affected as long as you save the game. Note that data will only be synchronized during the save process. Simply turning on a switch does not mean it will be turned on everywhere else. Download ths plugin and place it in the “plugins” folder in your project’s “js” folder. Then open your Plugin Manager (F10), double-click an empty row, and select the HIME_SyncSaveData plugin. 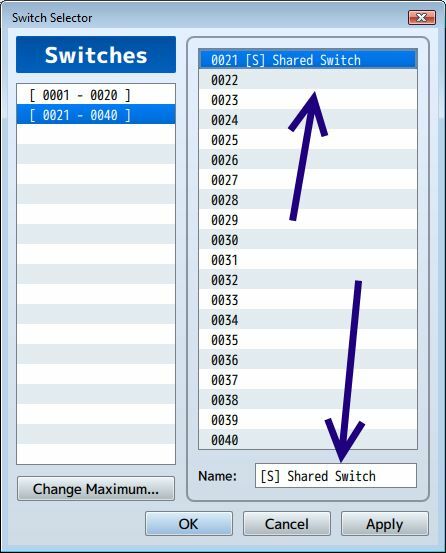 Currently, only switches and variables can be synchronized. When you save your game, all switches with an [S] in their name will be automatically synchronized. You can verify that the sync works when you load a different save file and check the value of the switch. 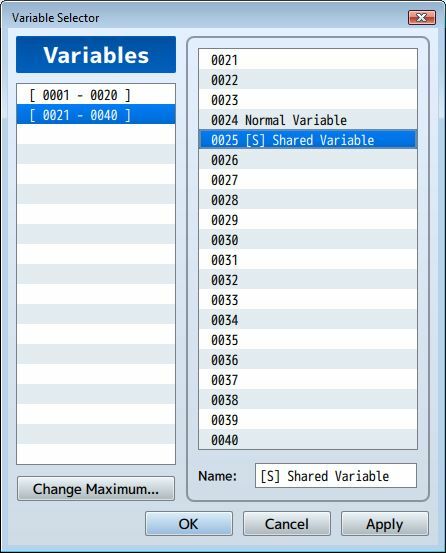 select a variable. Then rename the variable with a [S] in front. Is there a way i can only effect 1 saveslot instead of all? Make this for VX Ace,please !!!! Great! I have difficulty using it because I do not know English, but I will use it really useful. This used a translator. Thank you for your effort. This might sound like a stupid question…but will this script work on RPG Maker VX Ace? Hey, I just wanted to ask, is there any way to force the game to synchronize the Save without saving the game data? Like through a script command of sorts? It is basically what I use during the save process. I doesn’t crash with a script error, but upon resetting the game the Variable I have set up for testing purposes resets back to 0. It does have the prefix too. is used to load the sync data. is the one you want. Thank you, I’ve been looking for a way to have a NG+ feature but everything I came across was really poor, or didn’t work at all. This works great, and seems really stable.